The Lymphomaniac Society provides weekend trips to cancer survivors. Read their incredible stories below. Charles was diagnosed with gastric adenocarcinoma in December 2015. After being treated with chemotherapy adn surgery, Charles was awarded a trip to a condo on Lake Hamilton in Hot Springs. "We've been dealing with this nonstop since December and it has worn us down," Charles said. "We would love to get away and not have to think about cancer. It would give both of us a chance to relax and take a break from everything." Misty, a Hodgkin's Lymphoma survivor from Searcy, was awarded a respite trip to a condo on Lake Hamilton in Hot Springs. "Sitting on the balcony watching the sun set gave us so much peace! We had a chance to reflect back on the last year and enjoy the blessings upon us now." 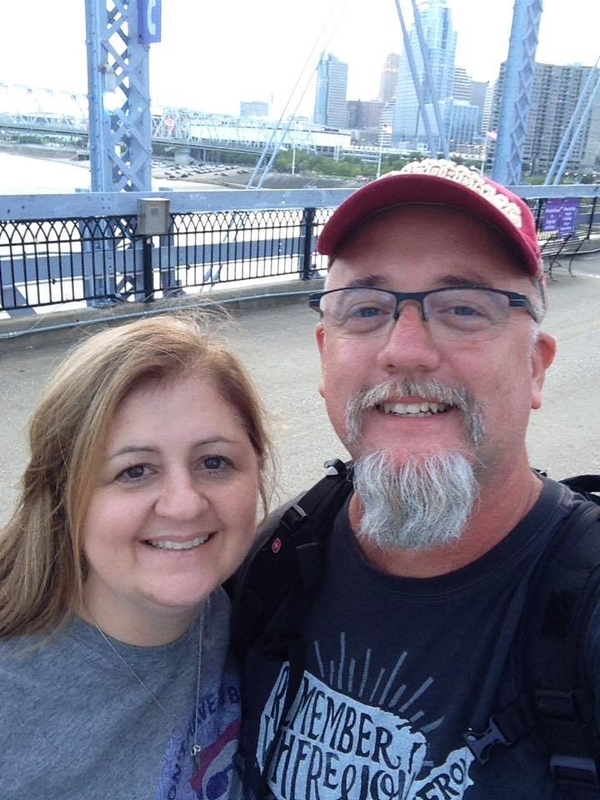 John, a Lymphoma survivor from Sherwood, was awarded a trip to Cincinnati, OH where he and his wife, Shawn, stayed at the RiverCenter Marriott. "Why did I (take a respite trip)? Because others have experienced cancer and have used that experience to pay something forward to others. I did it because people who didn't even know me, but knew what it's like, wanted to allow me to have a moment. I had several. I feel blessed and beyond grateful!" Aprile, a breast cancer survivor from Smackover, was awarded a trip to Fayetteville. "It was wonderful to get away, just me and my husband, and celebrate the journey we've traveled! I am so appreciative! Thank you for what you do through this program!" Fantasia, a single mother from Little Rock, was diagnosed with breast cancer in April 2015. The Lymphomaniac Society awarded Fantasia a trip to Pensacola Beach, FL, where she traveled with her mother and her children. 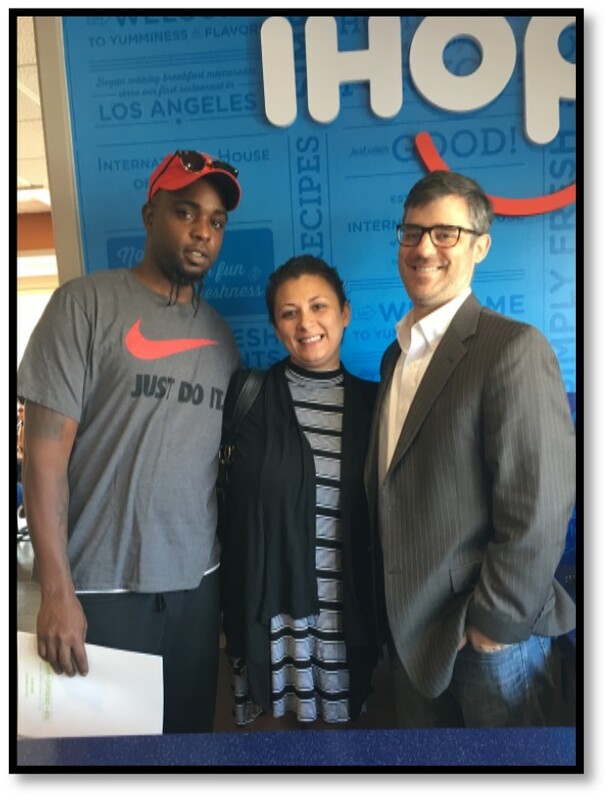 When Fantasia arrived home from her trip, she called the Lymphomaniac Society to say, "This trip was awesome!" "The trip felt like a new beginning. It was relaxing to spend a few days with my wife and not worry about anything. It was an experience that was reinvigorating and helped us enjoy life after spending 8 months having to fight just to live. I told my wife on the way back home that, outside of the milestone experiences in life, it was one of the best experiences of my life. We are grateful for you and for the donors that allowed this to happen." "We truly felt honored to have the opportunity to go on this trip. I cannot remember the last time we were both off at the same time and didn't have to go to a treatment, surgery, or appointment. The time we had was priceless!" "Since I've gotten back from my trip, I am ready to go and do so much more, take more trips, go do activities. This getaway has done so much for me. I can't express to you how much I appreciated it and how it helped me. 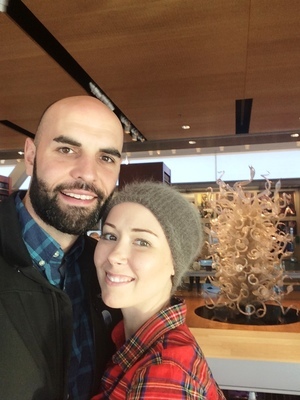 I couldn't ask for a better getaway to help recover from all the treatments and and everything I've gone through." "We had a great time at the Margaritaville Resort. The accommodations were beautiful and restful. The most fun part of the trip was relaxing beachside with my daughter and resting while listening to the ocean. Chloe and I had the best and most relaxing beach trip and I am so thankful to your foundation and (my anonymous) donor for this opportunity. "It was an incredible weekend where we were able to escape our surroundings and recharge our batteries to start another round [of treatment]. Trip was a mental and physical break from the stress and pain of chemotherapy. Thank you, Lymphomaniac Society!"